The beach is calling your name and when you make reservations to stay at the oceanfront Crescent Villas in the Crescent Beach section of North Myrtle Beach, South Carolina you will be steps away from letting your bare toes feel the warm sand. Crescent Villas is beautifully located about five blocks from Highway 17, between 20th and 21st Avenues South. It is so easy to locate this oceanfront North Myrtle Beach resort and all of its charm. Crescent Villas is a North Myrtle Beach resort that features nicely decorated North Myrtle Beach condominiums. 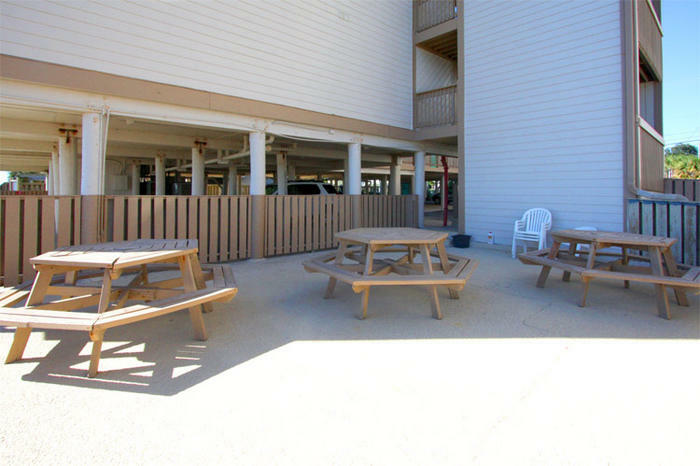 Spacious enough for up to six people to enjoy a North Myrtle Beach vacation together, these North Myrtle Beach rentals all offer views of the Atlantic Ocean. Choose a two-bedroom North Myrtle Beach condominium rental and spend your North Myrtle Beach vacation basking in the amenities offered. These two-bedroom North Myrtle Beach vacation rentals have two baths and are fabulously furnished with a well equipped kitchen, comfortable living room and inviting balcony with ocean views. The great room in each of these North Myrtle Beach condominiums is one large space where your whole family can spread out and still be part of the conversation. Sit in the living room and relax on the sofas or take a seat at the dining table for a round of cards. The kitchen has plenty of counter space and overlooks the dining area. With full-size appliances that include a dishwasher, the kitchens in these North Myrtle Beach condo rentals are ready to meet your North Myrtle Beach vacation needs.